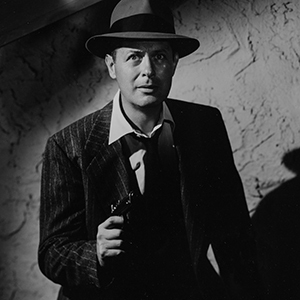 Long unheralded and at last rediscovered, actor-director Robert Montgomery’s Ride the Pink Horse is one of the key Hollywood features of 1947, the year film noir flooded the screen like a ruptured reservoir of India ink. Adapted from the popular crime novel by Dorothy Hughes, Ride the Pink Horse follows Montgomery’s war-scarred Lucky Gagin to the New Mexico border town of San Pablo, where he hopes to settle an old score with one Frank Hugo, small-time mob boss. It was Montgomery’s second film as a director. His first, The Lady in the Lake, released earlier that same year, had taken a radical, first-person camera approach to adapting Raymond Chandler’s thriller that had marked the filmmaker as something of an innovator, even if it failed to take off at the box office. Ride the Pink Horse plays it by classical Hollywood rules, and demonstrates Montgomery’s full mastery of the medium: it’s one of the lightest, most enjoyable films about postwar alienation, poverty, and gleefully sadistic capitalism you’ll ever see—and its cast of veteran players and scene-stealing newcomers, celebrated here, is one of the movie’s primary delights. Paired throughout his career with such dynamic costars as Greta Garbo, Bette Davis, and President Dwight D. Eisenhower, Robert Montgomery was one of Hollywood’s most versatile fixtures: a light comedic player turned serious actor, an actor turned director, a director turned producer, and a producer turned pioneering political media adviser with his own office in the White House. Born in Fishkill Landing, New York, in 1904, Montgomery entered motion pictures in 1929, playing mostly playboys and romantic leads throughout the 1930s. 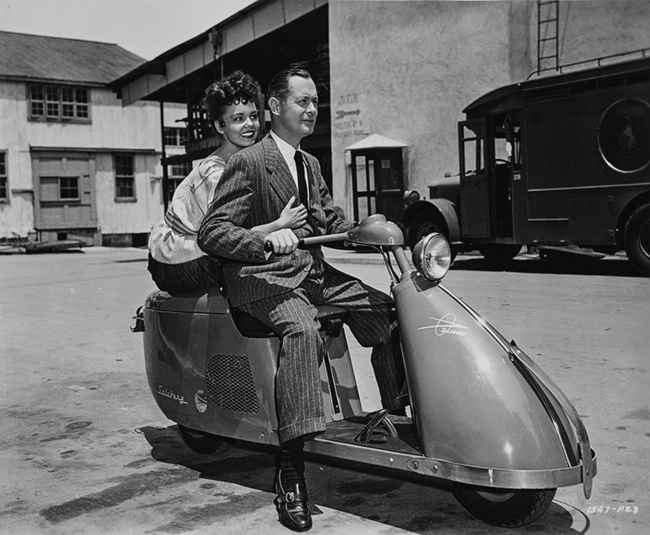 His first Oscar nomination was for Here Comes Mr. Jordan in 1942. Elected president of the Screen Actors Guild twice, he was a staunch conservative and anti-Communist who served in the Navy during World War II, filled in for director John Ford during the shooting of They Were Expendable (1945), and testified before HUAC during the red scare. 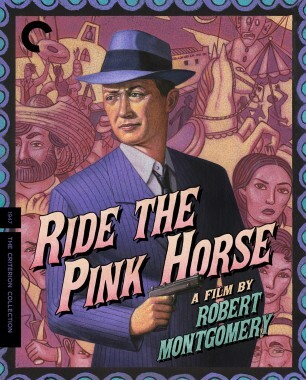 As Ride the Pink Horse’s super-sour Lucky Gagin, Montgomery presses his luck to its limit, enduring beatings and a knifing and a night in a New Mexican stable . . . and still comes out ahead. He died in Manhattan in 1981. 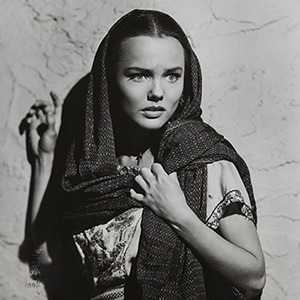 Wanda Hendrix was just eighteen when she stole the show in Ride the Pink Horse as Pilar, the grubby Mexican willow with a shawl over her head and a scared-stiff look in her eye who saves Montgomery from death. It was her fifth feature film. Born Dixie Wanda Hendrix in Jacksonville, Florida, in 1928, the actor was working on a local stage when she was discovered and talent-agented away to Hollywood and a Warner Bros. contract; she was barely old enough to drive. She made her film debut, speaking in a thick brogue, across from Charles Boyer in Confidential Agent (1945). Hendrix’s 1946 Coronet magazine cover caught the eye of Audie Murphy, the most decorated soldier of World War II; he began courting her soon after and they were married in 1949. It was a disaster, their home a post-traumatic nightmare, with the armed Murphy flashing back on the Battle of Anzio and terrorizing his young wife. The couple divorced after only a year; they had no children but produced one film, a symbol-laden western called Sierra (1950). She remarried twice (once to actor Robert Stack’s brother, James), but neither her marriages nor her later career flourished. Hendrix died in Burbank of complications from pneumonia at the age of fifty-two. Born Sabino Tomas Gomez in New York City in 1905, Thomas Gomez was a Broadway and Hollywood mainstay, both in front of audiences and behind the scenes. A member of the board of directors of the Screen Actors Guild for thirty years, Gomez was called upon for all manner of “ethnic” film types; he played the lead in the original Broadway production of A Man for All Seasons in 1961. Ride the Pink Horse’s drunken and carefree carousel operator Pancho may be Gomez’s broadest screen confection, an Oscar-nominated performance as lovably preposterous as Hendrix’s wide-eyed Mexican waif. 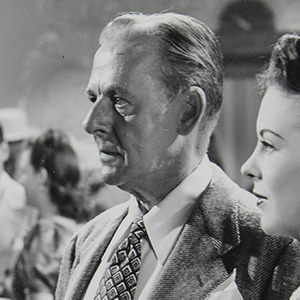 Gomez and his director and costar reteamed and re-created their Pink Horse roles for an episode of Robert Montgomery Presents in 1950. 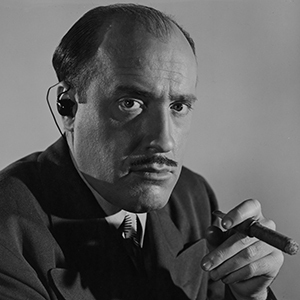 Gomez made his film debut in Sherlock Holmes and the Voice of Terror (1942), appeared in John Huston’s Key Largo (1948), and concluded his big-screen career with Beneath the Planet of the Apes (1970). He died, following injuries sustained in a car accident, in Santa Monica in 1971. Paris-born Georgette André Barry (1919) left the European continent with her mother as a child and moved to Forest Hills, New York; at age fourteen she adopted her stepfather’s surname and began performing onstage as Andrea McKee. 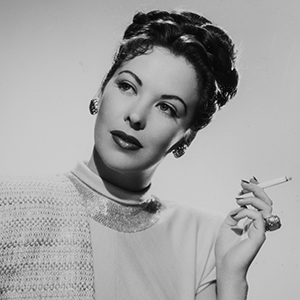 Her first feature film was the March of Time–produced The Ramparts We Watch (1941). By 1944, she’d settled on the professional name Andrea King and signed with Warner Bros., where she began making a string of films for veteran directors like Delmer Daves (Hollywood Canteen, 1944), Michael Curtiz (Roughly Speaking, 1945), Robert Florey (God Is My Co-Pilot, 1945), and Raoul Walsh (The Man I Love, 1947). As the nearly fatal femme Majorie Lundeen in Ride the Pink Horse, King dances Montgomery right into a knife in the back. As Perry Mason fans know, King enjoyed a long career on television once her film celebrity faded and has a star on Hollywood’s Walk of Fame; she also wrote children’s books, and even turned up in Blackenstein (1973)! King died in Los Angeles in 2003. Rarely seen without a cigar clamped firmly in his sometimes unctuous, sometimes scowling puss, bullet-headed Fred Clark was a familiar comedic face on television throughout the 1950s and early ’60s, first as a regular on the extremely popular George Burns and Gracie Allen Show, then a decade later as a recurrent player on The Beverly Hillbillies. 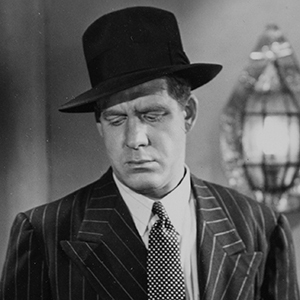 Remarkably, Ride the Pink Horse was only Clark’s second film, yet his persona was already fully assembled: even the enormous hearing aid that Clark’s mob boss Frank Hugo is saddled with—one of film noir’s nuttiest gizmos—carries a whiff of the comedic. Born in Lincoln, California, in 1914, Clark was premed at Stanford before he turned to acting and earned a scholarship from the American Academy of Dramatic Arts. He served in both the Navy and the Army, began his Hollywood career in Michael Curtiz’s The Unsuspected in 1947, and appeared in Pink Horse the same year. Clark died of liver failure in Hollywood in 1968, at the age of fifty-four. 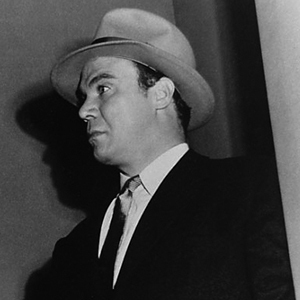 Art Smith was in six films in 1947, film noir’s annus mirabilis, at least four of them genre classics: Anthony Mann’s T-Men, Robert Rossen’s Body and Soul, Jules Dassin’s Brute Force, and Ride the Pink Horse, where he plays the mostly benevolent PI Retz. Smith’s an essential ingredient in Nicholas Ray’s ultra-black In a Lonely Place (1950) too, though he isn’t entirely hard-boiled. 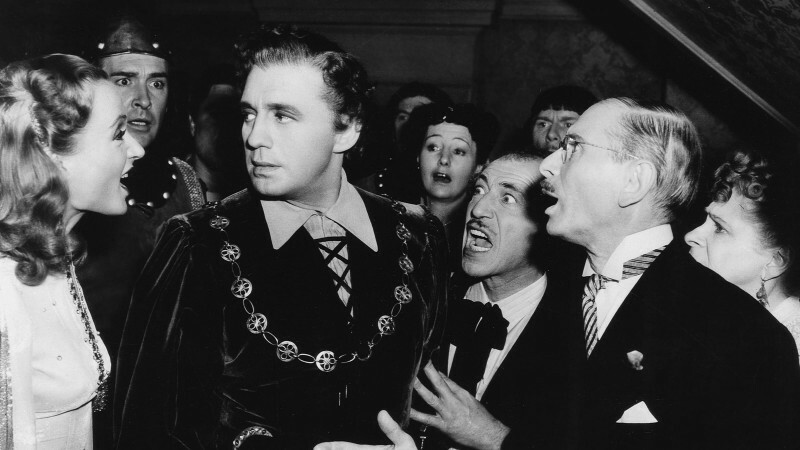 His alternately menacing and avuncular presence also appealed to George Cukor and Max Ophüls, the latter of whom used the actor in both Letter to an Unknown Woman (1948) and Caught (1949). 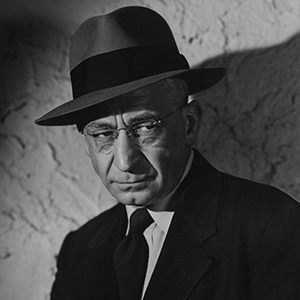 Born in Chicago in 1899, Smith had a lengthy Broadway career, working primarily on Clifford Odets plays with the leftist Group Theatre, where he met Elia Kazan, who later named the actor during the 1950s red scare. His last screen credit of that decade was in an episode of Lights Out; his career never fully recovered. Smith died of heart failure on Long Island in 1973. With his smooth veneer and no-nonsense frown, Richard Gaines kept busy throughout his career playing everything from butlers to supercilious district attorneys in films as high noir as Brute Force and as barnyard low as the talking mule comedy Francis in the Haunted House (1956). Edward Dmytryk used him in Tender Comrade (1943), and Billy Wilder cast him twice, in Double Indemnity (1944) and Ace in the Hole (1951). The actor’s television credits cover the ’50s prime-time waterfront, from Racket Squad to Perry Mason, where he frequently appeared as a judge. 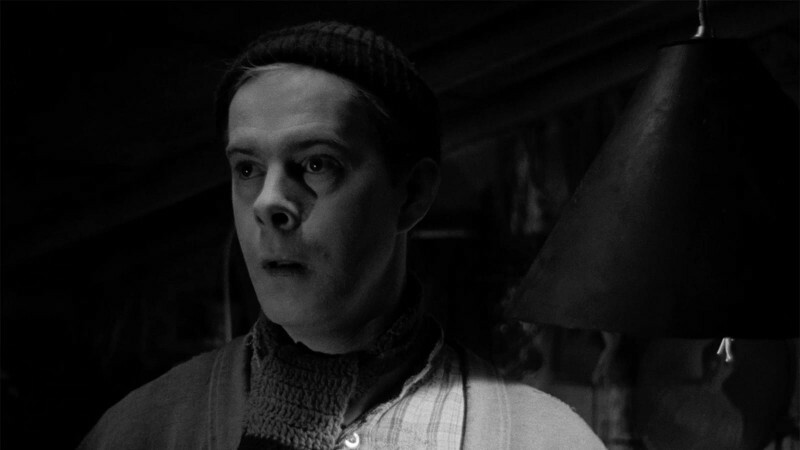 As Frank Hugo’s manservant Jonathan in Ride the Pink Horse, Gaines gets sucker punched by Lucky Gagin in his first scene and seethes for revenge ever after. 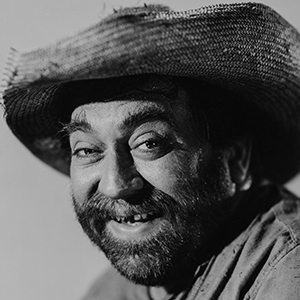 Born in Oklahoma City in 1904, Gaines died in Hollywood in 1975. One of the true veterans of Hollywood character acting, Edward Earle appeared in up to a dozen films a year throughout much of his career, which began in silent shorts in 1913 and ended in television in 1966, and included over four hundred usually minor and often uncredited roles. Born in Toronto in 1882, Earle got his start in vaudeville, made his Broadway debut in 1904, and built a career as a leading man in early cinema, first at Edison Studios, then Vitagraph and Famous Players, and eventually Warners and Columbia. With the arrival of sound, Earle moved into a virtually unending stream of bit parts and secondary roles in everything from westerns and crime flicks to Shirley Temple baubles and Frank Capra classics (including Meet John Doe, 1941). Typically, Earle goes mostly unnoticed in Ride the Pink Horse as Locke, another of Frank Hugo’s obsequious yes-men. Earle died in Los Angeles in 1972. If you’re really paying attention, you may spot Harold Goodwin somewhere in the background of John Ford’s Young Mr. Lincoln (1939). You might have better luck finding him in the myriad films he made with B movie detectives like Charlie Chan and Peter Lorre’s Mr. Moto, or playing it straight in franchise comedies like Abbot and Costello Meet the Invisible Man (1951) or Ma and Pa Kettle at Waikiki (1955). Born in 1902 in Peoria, Illinois, Goodwin started appearing in silent shorts as a kid alongside early star Violet Wilkey in 1915. By the time he appeared in Lewis Milestone’s All Quiet on the Western Front in 1930, he’d already made nearly fifty films. In Ride the Pink Horse, Goodwin’s Red is just one of Frank Hugo’s many stooges, distinguished mainly by his lanky frame and cowboy hat as he leisurely pursues Montgomery into a strikingly lit hotel hallway. Goodwin died in Los Angeles in 1987. What wasn’t the venerable fireplug John Doucette in? From John Wayne bonanzas like The Sons of Katie Elder (1965) and True Grit (1969, both directed by Henry Hathaway) to episodes of Hogan’s Heroes and Leave It to Beaver, Doucette got around; he racked up some 260 film and television credits. Snarling ranch hands and grimacing gunsels were his forte. 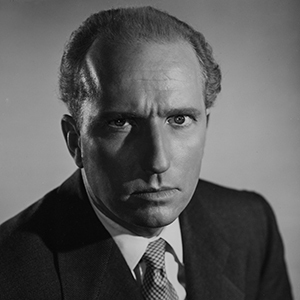 Alfred Hitchcock used him (in Strangers on a Train, 1951); so did Robert Siodmak (Criss Cross, 1949), Fritz Lang (The Big Heat, 1953), Anthony Mann (The Far Country, 1954), and Sam Fuller (House of Bamboo, 1955). 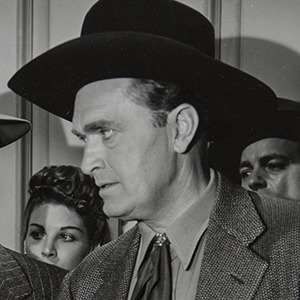 The actor is uncredited in Ride the Pink Horse (one of his first screen roles), but he adds an indelible ugliness to the film’s final section as one of Frank Hugo’s henchmen, ready to further rough up the already insensible Montgomery. Born in Massachusetts in 1921, Doucette died in California in 1994. Almost always uncredited, Jimmy Ames was a constant Hollywood background presence throughout the 1940s and ’50s, working for George Stevens (Woman of the Year, 1942), Vincente Minnelli (Kismet, 1944), and Otto Preminger (Daisy Kenyon, 1947) in a string of bit roles. Of the films he did get screen credit for, few seem to have seen: Sherry Shourds’s The Big Punch (1948), anyone? With a face like boiled beef, he was a natural tough guy; in Ride the Pink Horse, Ames is so tough he knocks the petite Hendrix around as if she were a soiled Raggedy Ann doll. 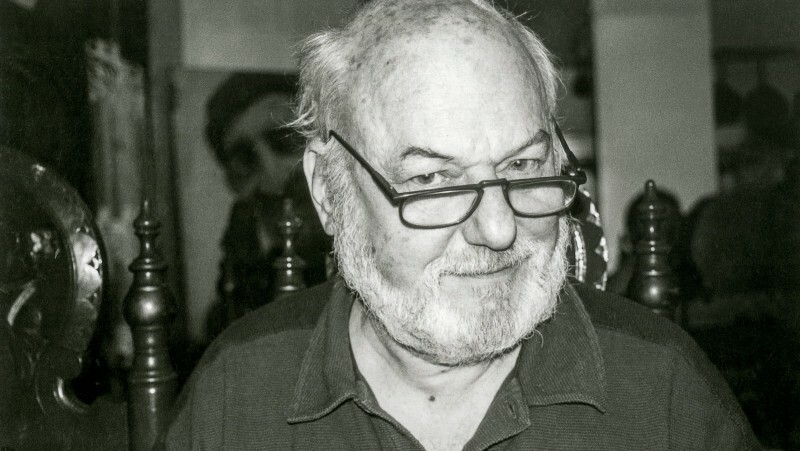 The actor was adept at comedy too, and spent the final years of his career doing bits on classic sitcoms like I Love Lucy, The Addams Family, and Mister Ed. Born in East St. Louis, Illinois, in 1909, Ames died in Hollywood in 1965.